Dr. Gregory G. Curtin, Ph.D., JD. CEOCFO: Dr. Curtin, would you tell us the concept behind Civic Resource Group International? 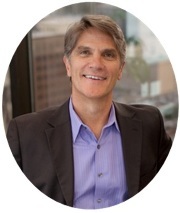 Dr. Curtin: I founded Civic Resource Group over a decade ago specifically to fulfill the promise of technology and to bring new technologies to the broad public sector including government, transportation, healthcare, education, travel and tourism and so on to make an impact and a difference in society. CEOCFO: What do you understand about dealing with governments and public organizations that perhaps others may not? Dr. Curtin: The public sector and governments specifically are very different from the corporate sector in that they do not operate exclusively on the bottom line. A key differentiating factor especially in this new digital world is that governments and the public sector are now operating on almost a triple bottom line: First, looking at how to provide better services and better information to citizens and businesses; second how to stimulate economic development and enhance the quality of life for all of their constituents; and third, and very important in recent years, is sustainability where we are looking at the environment, lowering costs, lowering greenhouse gas emissions, and doing things in a way that governments and communities can sustain themselves well into the future. There is a new focus on this bottom line of sorts, which is to make sure that governments and the private sector are doing more with less, using new technology. And this is where we, Civic Resource Group, come in to help enhance services, to provide better information, to be more effective and transparent, which is a new call to action for governments. It is a very dynamic sector and, while it is not the private corporate sector, governments and groups of governments are starting to act more like enterprises in that way. It is a dynamic and critical time out there. CEOCFO: Many people would say that governments do not want to be transparent and are not concerned about making systems easier for their customers or constituents. Is that an erroneous misconception? How do you deal with this feeling? Dr. Curtin: I sit on the Future of Government Council for the World Economic Forum. That question is brought to us all the time. There is a perception that is based on some reality, but there is also a perception of lack of trust in government. I think that the history of distrust is what governments and public sector institutions right now are dealing with…attempting to shed that perception. What we are seeing around the globe is a true concerted effort on the part of governments and public agencies to overcome that distrust. There is a huge open data movement across the globe for governments to open up their treasure troves of data. There are new mandates here in the US across the board from local and state governments to be more transparent with city, county and state budget and financial information. There is a big move across the US and the globe for a “new breed” of government leaders and we are seeing the rise of Chief Innovation Officers, Chief Data Officers, Chief Digital Officers, new leadership, whose very charge is to be open and transparent and connect with their constituencies. We are seeing a true effort to be transparent and accountable. That equates to big opportunities in terms of companies like Civic Resource Group and our products as well as other companies and groups out there, that partner with governments to do new innovative things. The question you ask definitely comes from a history of distrust and mistrust but that is changing rapidly across the globe. We know from research that there is going to be a mass exodus of government managers, executives and leadership—what is sometimes called the “silver tsunami.” Because of the global recession, there has really been no backfilling, which means that over the next five to ten years that gap is going to be filled by new millennials, new generations who are brought up in this digital world of openness. So there is going to be a big change in the next few years. CEOCFO: Would you give us a concrete example of a common engagement as well as something more outside the box? Dr. Curtin: Our flagship product CivicConnect™ represents both our routine engagement and our “outside the box” initiatives where we are going in the future. CivicConnect™ is a fully mobile/data/cloud enabled platform. We can take CivicConnect™ into a government agency and implement that platform to actually open up and take open data and provide it easily and rapidly through smart phones, kiosks, digital signage, tablets and sensors and provide information, data and services to citizens, businesses, visitors in whatever the context may be. In a routine engagement, an agency may look at this and say, “great we are getting a new web portal out of this” or “we are getting a mobile solution” and that is fine because it is sitting on our CivicConnect™ platform. This provides the foundation. An example of an outside the box solution: that city now has the foundation for a true smart city or connected city. In Santa Monica, here in California for example, or Fort Lauderdale in Florida, we are implementing CivicConnect™ as a “smart” city solution – a sort of “digital umbrella” which brings together not only city data sources around transportation, parking, local services, parks and recreation, etc., but also connects to outside data sources that are available in the city but not under the city’s control. Think of CivicConnect™ as a platform to enable a smart city and a connected community. That is where we see the future and that is where we are getting a lot of traction with our new mobile, cloud, and data platform. CEOCFO: What is involved in an implementation such as the Smart City? Dr. Curtin: The key steps: solutions are 100% cloud-enabled. The good thing with the Cloud is that much of the “involvement” that would have been required previously is no longer there and we do not have to build infrastructure or set up networks and servers. The solution is in the cloud. We work with the city or whatever agency it is that we are working with, as our starting point. It could be a transportation agency or utility, or it could be healthcare, for example. The key initial piece of the implementation is to configure the data sources. So think of CivicConnect™ as a platform that pulls in data sources from just about anywhere, as long as the data are available, accessible and arrive in a format that can be easily rendered electronically. We can help with that. The real opportunity is to add value by collecting and opening up the data that is actually created by the users themselves. As we think about the mobile citizen navigating the world, the urban environment or their daily lives, we are gathering data and enabling the mobile user to capture that data. If you think about starting a smart city implementation, as long as we have one, two or three of those data sources, we can get to step one and from there it really becomes how creative can a city or a community be in terms of what they want out of their smart city. CEOCFO: If an agency comes to you with a limited budget, are you able to offer something to meet their needs? Dr. Curtin: The beauty of moving these solutions, platforms and services into the cloud is that we can actually deliver a starting platform for just about any conceivable case. If an agency or small city comes to us and says they do not have the budget now but they are able to start at some level, we can usually package together a CivicConnect™ solution that will meet their needs and their budget. Once they are on the CivicConnect™ platform and maybe for the first implementation all they want to do is provide a mobile solution, for example, parking, local transportation and some limited e-service from the government, we can package that up and bring it through the CivicConnect™ platform with very little work on our part. This is all about replicating applications and solutions and connecting the data. We can start there. Now that community, city or agency has the CivicConnect™ foundation to build out their smart city well into the future as they either open up more data sources, or as they partner with more entities in their communities. It is a beautiful model for the customer--cities, governments and public agencies--and for us as a business model, because we can get to that starting point. We can deliver value right out of the box at a cost to meet the customer needs. CEOCFO: Security is a big issue. How do you handle security in such a sensitive area? Dr. Curtin: Most of the entities we deal with are governments or public sector agencies who are sensitive to that more so than even the private sector. Civic Resource Group historically comes from this domain, so we have always been sensitive to security around data and information and applications. We have the technology, history and credibility to work with these agencies. Since we are moving data into the cloud and mobilizing data, it is doubling and tripling the perceived security issues, so each step of the way we have built into our platform the highest-level security compliance that we can for the cloud. We are neutral in terms of which cloud we are using, so we can deliver the right cloud security for a given customer. If you think about some of the large cloud providers, they will have different offerings, some of which are built to federal and state government security compliance for everything from HIPAA to ADA compliance and more. It costs a bit more but we can deliver solutions in those clouds if necessary. We can actually tailor a security solution specifically for a customer; if we are dealing with sensitive government information, it will be higher security. If it is something that is less sensitive, then we can deliver a different cost structure and lower security but still secure. Everything we do especially on mobile we built into the CivicConnect™ platform a security framework. Because of our background in dealing with governments, we can work with a customer at every step along that security path. CEOCFO: Would you tell us about the international part of your business? Dr. Curtin: This is very exciting. In 2014, we restructured the company and came out as Civic Resource Group International. We acquired a very innovative mobile platform company out of Dublin, Ireland. A company that had some incredibly innovative mobile platform solutions and patented technologies, and was already working in the travel and tourism industry, which is one of our target sub sectors within the broad public sector. Not only did we get a mobile platform that fits beautifully into CivicConnect™ and completes our full mobile/cloud/data platform offering, we also now have a true European Headquarters out of Dublin, Ireland to service and reach specifically into European Union communities. This allows us to sell and provide directly into a very different regulatory framework in the European Union. It also provides a foundation for our global business opportunity to provide CivicConnect™ and mobile solutions across the board. I was just visiting Dublin, Berlin and London a few weeks ago to kick off our Civic Resource Group International activities, and we already have a number of innovative projects on the books out there. It is important because regarding data and security specifically, when you are dealing in the international world, different countries and regions are very sensitive about where and how their data is being processed. Ireland, and Dublin specifically, has done a wonderful job now establishing itself as a high quality center for data management, and for localization, which is the process of turning data and applications into language and culture specific offerings. It is a very good mix. The Irish government is interested in investing in Ireland being that kind of epicenter for data and open government data, mobile and mobile data, and new civic solutions out there. It is an exciting time for us and we are ramping up along those lines as well. CEOCFO: Why was last year the time to restructure? Dr. Curtin: I mentioned that I founded Civic Resource Group over a decade ago and we have been providing e-government solutions, strategies and high-end solutions, but we could never take those solutions and easily replicate them because they were all very high-end and customized. The cloud has become a viable technology, if you will, over the last few years. When I say viable, I mean that customers understand it and are now willing to move into it. With the cloud, we were able to take our solution set and move it into a true cloud platform that we can now deliver and replicate across governments and public agencies and across various sectors in a cost effective manner and scale easily. Why did we choose 2014? That was the year cloud became viable, the post recession world especially in government, which lags a few years behind, started re-emerging, and budgets opened up again. There is a sense of it being a good time for the public sector to change with the cloud, the massive changes to mobile and the huge change in the demographics around the mobile citizen as well as the changing structure of governments and public agencies and changing workforce around all of that. It was one of the few times that you get that confluence of events in history. This is something we had planned for years. My prediction is that 2015 will be the year of public sector technology and civic technology. We are already seeing quite a bit of activity and investments in gov-tech companies that you would never have seen five or ten years ago. INC Magazine just came out listing the public sector as one of the hottest industries for 2015. We are right ahead of that curve and have planned for it and the timing is perfect across the board. CEOCFO: Why choose Civic Resource Group International? Dr. Curtin: Foremost, this is what we do. This is what I built the company for, specifically, to provide new technology to the public sector in a way that betters the quality of life, enhances sustainability, and provides better information and services for citizens and businesses. We have been fulfilling the promise of technology in the public sector for years. This is in our DNA. We are not a newbie solely taking advantage of a perceived opportunity, we are not a company that has done technology in a different sector and decided to sell to governments and the public sector. We are squarely in the center of the public sector and we know it intimately. Secondly, our technology platform, CivicConnect™ platform, is the only truly, fully integrated mobile, cloud, data platform out there that can provide these solutions to the public sector. Dr. Curtin: You asked why we did this now? It really is a tipping point out there in the broad public sector in terms of technology and the willingness and ability of customers in the public sector to move to cloud and move to mobile. The final piece is - it is a tipping point in terms of the vision of actually providing better services and quality of life as well as smart governments, connected communities and smart cities that bring all these great technologies together for positive impact. - Dr. Gregory G. Curtin, Ph.D., JD.